AgentSecure™ is a service provider dedicated to independent insurance agents, providing market access around the US to over 20 national carriers and their products. We offer real-time comparative rating with a SEMCI (single-entry multi-carrier interface) platform. And, with the help of our agency partners, we continually update and improve upon our technology platform. By fostering a partnership with our agents, we offer our carriers the ability to gain access to an amazing diversity of submissions and policies from around the country. As a result of that partnership and low loss ratios that flow from it, AgentSecure has the ability to pay its producers the highest commission rates in the industry. And as our agency force has grown along with our premium written we have been able to attract an impressive list of the country’s most influential carriers. As you can see we highly value our agent and carrier relationships because neither would work well without the other. Ease of use, great relationships and continued innovation makes AgentSecure an Independent Insurance Agent’s best resource! Check out the full listing of our ADDITIONAL SERVICES and SUPPORT page for more information. Based upon the commissions you want to earn, the size of your agency and whether you have your own carrier contracts, we have several ACCESS OPTIONS. We're flexible so that we can fit your needs. Please visit our COMMISSIONS page for a complete listing of programs and commission rates. 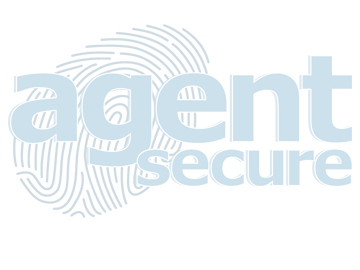 Commercial Lines: AgentSecure agents offer a full commercial product line to prospective clients. The most commonly written products are Business Owners Policy, Commercial Auto and Workers Compensation. Personal Lines: AgentSecure agents are able to offer a full line of personal lines to prospective clients, most commonly personal auto and homeowners insurance. Families and individuals have different types of property they request their agents to cover. Please visit our CARRIER ACCESS page for a complete list of carriers and lines of business available. From time to time our innovations shake up industry publications. We’re proud to be innovators! Check out more on our PRESS page for our latest announcements. The Real-Time technology of the AgentSecure Comparative Rating Platform returns comparative quotes and proposals back to producers for personal and commercial lines. AgentSecure supports the Real-Time Initiative! When it comes to the legal aspects of writing insurance, we’ve got all of the “i’s” dotted and “t’s” crossed for you and your Agency. Make sure to review the FAQ for more great details about how AgentSecure works for you! AgentSecure will not contact or solicit your customers without prior notice and opt out preference notification. Carriers may contact your customers directly related to renewals, loss control, for audits, billing, claim processing and potentially for new business. Any new business generated by this process will be paid to you by AgentSecure as if you had sold it yourself. Your agency retains 100% ownership of the book of business. Agents are free to roll books of business to AgentSecure at any time by simply submitting Agent of Record changes to AgentSecure. If your agency no longer has an active membership, AgentSecure will continue to pay commissions on your agency’s renewals, provided that your agency maintains the proper licenses and E&O coverage. Agent of Record, AgentSecure retains sole binding authority when using AgentSecure’s carrier contracts. Under the Best of Both Worlds program, your agency retains any binding authority granted under your agency’s contract. All policies sold under an AgentSecure carrier contract will show InsureZone.com of Texas, Inc. as the Agent of Record. InsureZone is the parent company of AgentSecure and the entity that is licensed around the U.S. Under the Best of Both Worlds program, your agency is the Agent of Record for any business written under your agency’s contract. Each policy quoted or written under your own agency contract will have your agency’s name on the proposal and the policy. While AgentSecure is the Agent of Record, your agency retains 100% ownership of the book of business, and this is clearly spelled out in your Producer Agreement.